1. Hill Street Blues (NBC, premiere: Jan. 15, 1981) Let’s be careful out there! Hill Street Blues still ranks as one of the best police dramas ever made. Set in a fictional police station in an unnamed large city, the series boasted a solid ensemble cast led by Daniel J. Travanti as Capt. Frank Furillo. 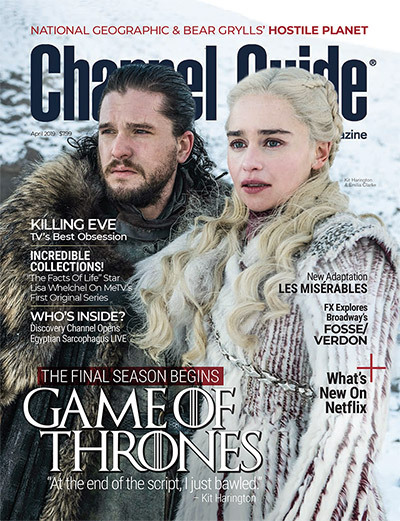 Other notables during the show’s initial year: Veronica Hamel, Michael Conrad, Bruce Weitz, Joe Spano, Michael Warren, Charles Haid, James B. Sikking, Betty Thomas, Kiel Martin, Taurean Blacque, Rene Enriquez, Ed Marinaro and Barbara Bosson. 2. 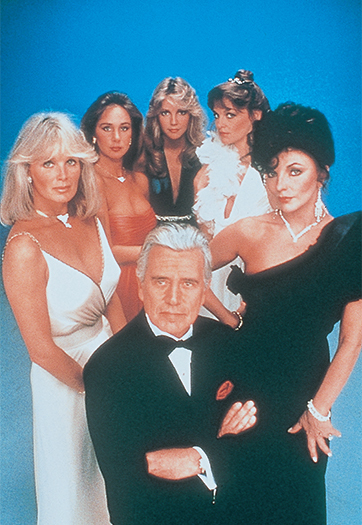 Dynasty (ABC, premiere: Jan. 12, 1981) (pictured left) The weekly saga of powerful Denver oil baron Blake Carrington and his often-dysfunctional clan quickly brought primetime soap operas to new heights of glitz, glamour – and catfights. John Forsythe tops the cast as Blake; Linda Evans costars as his new wife, Krystle. Joan Collins jumped aboard during the second season of the show as Blake’s conniving first wife, Alexis. Others in the cast during the first season: Al Corley and Pamela Sue Martin as Blake’s son and daughter. 3. Simon & Simon (CBS, premiere: Nov. 24, 1981) As detective series go, this entry had plenty of game in its day. Gerald McRaney and Jameson Parker costar as Rick and A.J. Simon, two brothers from opposite ends of the spectrum who go into business together and run a private-detective agency. 4. Falcon Crest (CBS, premiere: Dec. 4, 1981) Spurred on by the success of ABC’s Dynasty earlier in the year, CBS bolstered its previous successful launches of Dallas in 1978 and Knots Landing in 1979 with this primetime soap about a wealthy family in the fictitious Tuscany Valley, a dominant area within the California wine industry. Jane Wyman headlines the cast as family matriarch Angela Channing. Others in the initial ensemble include: Robert Foxworth, Susan Sullivan, Lorenzo Lamas, Abby Dalton, Margaret Ladd and William R. Moses. 5. The Fall Guy (ABC, premiere: Nov. 4, 1981) Lee Majors heads up this action/adventure series as Colt Seavers, a Hollywood stunt man who also works as a bounty hunter. Douglas Barr co-stars as Colt’s cousin, Howie Munson. Heather Thomas rounds out the core as Jody Banks, a fellow stunt person who gives Colt a helping hand. 6. Father Murphy (NBC, premiere: Nov. 3, 1981) Merlin Olsen takes on the title role of this western family drama, playing an 1870s pioneer named John Michael Murphy, who disguises himself as a priest in order to help protect a group of orphans from being subjected to brutal child labor. Moses Gunn co-stars as a prospector who helps Murphy out. 7. Gimme A Break (NBC, premiere: Oct. 29, 1981) Nell Carter stars as Nell Harper, a housekeeper who takes care of widowed police chief Carl Kanisky (Dolph Sweet) and his three young daughters (Kari Michaelsen, Lauri Hendler, Lara Jill Miller). It’s an old-fashioned sitcom, but there are some laughs to be had, thanks to plenty of wisecracks and fat jokes. 8. Walking Tall (NBC, premiere: Jan. 17, 1981) Although it only aired for one season, this seven-episode drama series aimed at continuing the story of real-life Sheriff Buford Pusser, a tale first recounted in the 1973 movie of the same name. Bo Svenson takes over the role of Pusser, played by Joe Don Baker in the original flick. Svenson had already played the role before, in two movie sequels (1975’s Walking Tall Part 2 and 1977’s Walking Tall: The Final Chapter) that were made before the series surfaced. 9. Love, Sidney (NBC, premiere: Oct. 28, 1981) A few years after The Odd Couple finished its TV run, Tony Randall showed up in this sitcom about a gay man named Sidney Shorr and his relationship with a single mom named Laurie (Swoosie Kurtz) and her daughter, Patti (Kaleena Kiff). It was a groundbreaking show for its time and was the first American TV series to have a gay character as the lead role. Although Sidney’s homosexuality has a distinct presence in the pilot episode, it was toned down significantly afterward. 10. Best Of The West (ABC, premiere: Sept. 10, 1981) It’s not the best of this list, but this sitcom is a kooky western spoof that casts Joel Higgins as Sam Best, a Civil War veteran who becomes the marshal of a small pioneer town called Copper Creek after moving there with his wife (Carlene Watkins) and son (Meeno Peluce). Leonard Frey co-stars as the town villain. 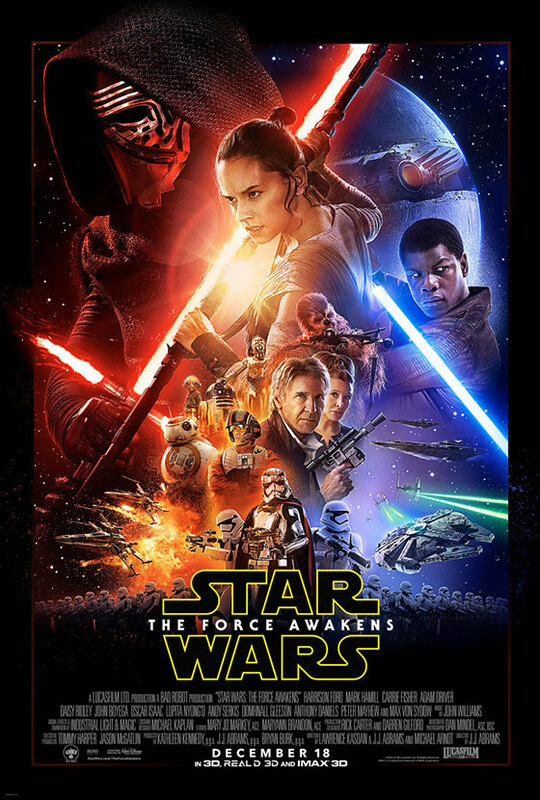 New Star Wars trailer debuts on Monday Night Football because … Disney! Recap: Crazy Ex-Girlfriend Episode 2 – Josh’s Girlfriend Is Really Cool!